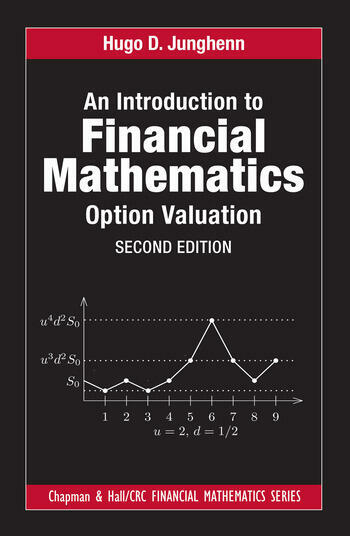 Introduction to Financial Mathematics: Option Valuation, Second Edition is a well-rounded primer to the mathematics and models used in the valuation of financial derivatives. The book consists of ﬁfteen chapters, the ﬁrst ten of which develop option valuation techniques in discrete time, the last ﬁve describing the theory in continuous time. The first half of the textbook develops basic finance and probability. The author then treats the binomial model as the primary example of discrete-time option valuation. The final part of the textbook examines the Black-Scholes model. The book is written to provide a straightforward account of the principles of option pricing and examines these principles in detail using standard discrete and stochastic calculus models. Additionally, the second edition has new exercises and examples, and includes many tables and graphs generated by over 30 MS Excel VBA modules available on the author’s webpage https://home.gwu.edu/~hdj/. Hugo D. Junghenn is Professor of Mathematics at The George Washington University. He has published numerous journal articles and is the author of several books, including A Course in Real Analysis and Principles of Analysis: Measure, Integration, Functional Analysis, and Applications. His research interests include functional analysis, semigroups, and probability.